PEBBLE BEACH — Ho Sung Choi will step to the No. 1 tee Thursday morning at Monterey Peninsula Country Club’s Shore Course. He will hit his opening tee shot, hop out of his stance like a dancer and finish with a theatrical flourish. And golf will not spin off its axis. 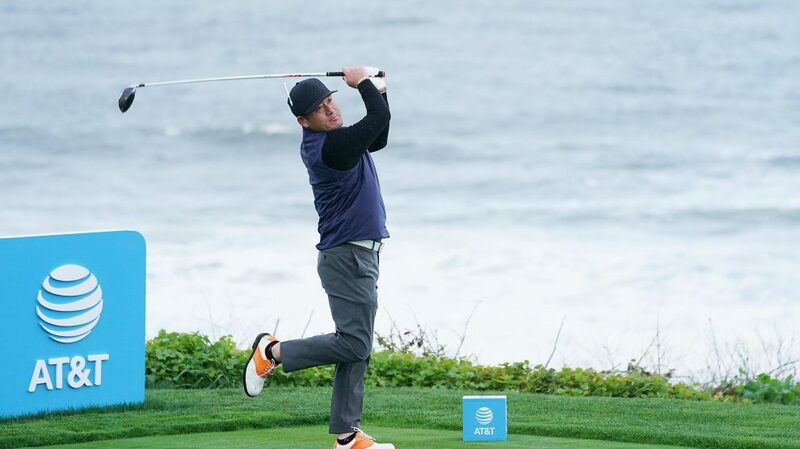 Choi’s participation in this week’s AT&T Pebble Beach Pro-Am is good for the game, no matter what Rory McIlroy says. It’s a welcome contrast to, say, Sergio Garcia acting like a petulant brat last weekend in Saudi Arabia, purposely damaging the greens during a European Tour event. Choi, making his PGA Tour debut, counts as a curiosity and a novelty. He’s a 45-year-old journeyman pro from South Korea who became a viral sensation last summer, when video spread of his crazy and unconventional swing. His follow-through seems a bit contrived, yes, but it’s also fun to watch. (Choi insists he’s losing flexibility and simply seeks to generate power.) That didn’t stop McIlroy from taking a none-too-subtle jab two weeks ago, during a news conference before the tour stop in San Diego. “If you watch it up until impact, he’s technically got a pretty good swing,” McIlroy said of Choi. “He’s obviously a pretty good player. Whether that means he should be taking a spot away from a PGA Tour player at a PGA Tour event, I’m not so sure. McIlroy’s point about “taking a spot away” from another player is tired and absurd. Some unheralded pros make the same argument every time Stephen Curry or Tony Romo lands a sponsor exemption. AT&T and the Monterey Peninsula Foundation, which runs this tournament, have four unrestricted sponsor exemptions in a 156-man field. That’s their reward for financing the event. They choose players who might provide entertainment value or bring a compelling back story. That leaves 152 spots for PGA Tour pros. If you can’t earn a tee time, the solution is obvious: Play better. Green Bay quarterback Aaron Rodgers heard the news about Choi last month and quickly made it clear on Twitter that he wanted to play in the same group. So that’s the foursome at 9:17 a.m. Thursday: Rodgers and his pro partner, Jerry Kelly, alongside Choi and his amateur partner, actor Chris O’Donnell. Choi plays mostly on the Japan Tour and has three wins in his career. He stands No. 194 in this week’s world ranking, two spots behind 2009 PGA Championship winner Y.E. Yang and five places ahead of three-time major champion Padraig Harrington. Choi grew up poor in the port city of Pohang, South Korea, where his father was a farmer and fisherman. He attended a high school that specialized in preparing students for jobs in the fishing industry; as a senior, his right thumb was cut off in a chainsaw accident. It later was reattached, though now his right thumb is shorter than his left thumb. He developed his swing without the help of a coach, not surprisingly. His unusual contortions occur after impact and are accentuated by demonstrative expressions and no shortage of body language. “I personally love my swing,” he said this week at Pebble. “I didn’t start golf until I was in my late 20s, so I didn’t take any lessons growing up. I might not have as much flexibility compared to other tour players, but I do what I can with what I have. Choi clearly has caught the attention of top players. Jordan Spieth, in his news conference Wednesday, referred to the “entertaining videos” of Choi spinning around after hitting a putt, trying to coax the ball into the hole. “Sometimes, it feels like have I remote control that wills the ball to go in the hole,” he said. This sounds like a blend of Happy Gilmore and Chi Chi Rodriguez. Goofy? Absolutely. 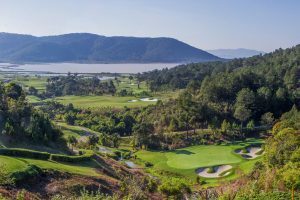 Choi’s harmless antics also bring a splash of color to an event already straddling the worlds of golf and entertainment. McIlroy isn’t here this week, incidentally. Somehow, the Pro-Am will survive.